As an entrepreneur at heart, Lavonne always looks for the next opportunity. After learning about her colleague’s Chicago investment property experiences, she knew she wanted to get started. Lavonne wasn’t deterred by the unknown. As a calculated risk-taker, she excitedly navigated the uncharted territory. Lavonne soaked up real estate investing knowledge like a sponge, and says its one of her secrets to success. 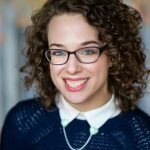 She self-educates, does her own research, and participates in real estate investing associations and clubs where she actually gets to visit a property and see the entire deal process. Lavonne’s open mind and flexibility led to her first deal. She had one type of property in mind, but once she saw all of her options on MyHouseDeals, she ended up pursuing a totally different type of Chicago investment property. We sat down with Lavonne to learn about this deal, her funding decisions, her overall investing strategies, and what she has learned in this first deal that she will take to the next. NOTE: Since Lavonne is a Premium Elite member, she received a FULL refund of her up-front membership fee for simply doing a deal! Find out more about our Premium Elite membership here. Do you consider yourself a full-time investor or part-time investor? Right now I’m a part-time investor because I have a full-time job as well. I hope to eventually turn into a full-time investor. How many hours a week have you spent on this first deal? I spend at least 30 hours a week on this. Was there something in particular that motivated you to become a real estate investor? First of all, I’m an entrepreneur at heart so I dabble in difference businesses. I’ve always had the thought that one day, one of them will hit. So I was looking for my next opportunity. It just so happened that one of my ex-coworkers purchased her own building in Bellwood about 8 months ago and she was telling me how it was with rehabbing and getting tenants and how she found the building and working with contractors and you know by her telling me about her experiences, it piqued my interest. I went online and I started researching real estate. By researching, I learned a lot of information. 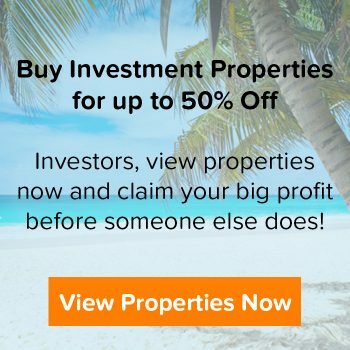 So I decided to go ahead and start checking out some different online opportunities where I would be able to connect with other investors and it led me to MyHouseDeals.com and I decided to get a membership and started seeking some opportunities. First, I looked mainly at motivated sellers, because I thought that the profit wouldn’t really be there by working with wholesale deals. When I came across this property, I decided to contact a wholesaler and that’s how the process started. Was it difficult to take your first step? Not for me because I’m a risk-taker and I’m used to doing that. What do you think makes you able to succeed as an investor while some people have a hard time taking their first step? What really sets me apart is that I like to make sure I get as much knowledge as possible. I like to absorb like a sponge and I have to understand that when I come across obstacles, I have to tackle them the best way that I can and gain as much information as I can to be able to get to my goals. What are some of the top educational resources you’ve used that you would recommend? Number one is MyHouseDeals.com because out of all of the different avenues that I’ve been using to find properties and reach those that are selling properties, I’ve been most successful utilizing the site. Next, I go online and look at different associations and real estate groups. I’ve connected with some groups where I actually go out and look at some of the flips that are either in the beginning stages or in process. I try to connect with others that are in the same business. I think that’s very important. I have also purchased a lot of videos and audio. I also go online to read others’ experiences. Everything I’ve mentioned wraps up into a bowl of knowledge. You have to gain knowledge and you don’t always have to spend a whole lot of money. There are a lot of programs out there where every time they talk to you, they want you to buy a book, they want you to buy a DVD, but there’s so much free information out there and you just have to determine what is the best information for you. What kind of Chicago investment property were you looking for on MyHouseDeals.com? Originally I was looking for just a fix and flip. So I was looking at a lot of the single family homes because that’s a lot of what the motivated sellers had on the site, but since I’m a premium member, I got some of the listings that weren’t available to everyone right away. When that would flash in my email (which are very, very helpful!) I took a look and I saw this property. Were you looking for Chicago investment properties in a particular area? Yes, I was. I was looking in the suburbs of Chicago. I didn’t think I would get a building in Chicago. That’s what has been really exciting about MyHouseDeals. I had a certain idea of what I was looking for, yet I came across something totally out of the realm my original intentions. I’m really excited about that because it gave me another direction to look at. 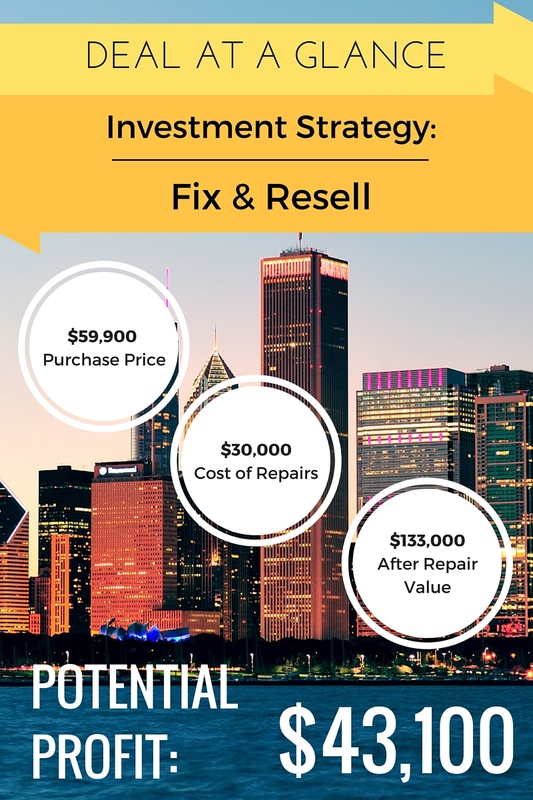 What resources do you use to pull comps and evaluate Chicago investment properties? I usually use a RealtyTrac. I pay a monthly service for that because it gives me a lot of information on the property. My second resource is Redfin and then Trulia and Zillow. If I really need some help, I will contact my real estate broker and ask her to do a comparable market analysis. Have you found RealtyTrac to be effective? Yes, because RealtyTrac gives me more information than Zillow or Trulia. For example, there’s another property that I’m interested in, so I went on RealtyTrac and typed in the address and it gave me the owner’s name. It tells me the foreclosure status. It gives me a lot more information than the free sources online. What did you end up choosing to finance your purchase? I went with Hard money lending. I understand that they want to charge a little more interest due to the fact that I don’t have the credit to be able to get a conventional loan. You need to have the money upfront for renovations. There are a lot of fees involved when you deal with hard money. It can be difficult because you need money up front. Hard money lenders pull out on a 33/33/34 meaning with a $30,000 renovation money they give it to me in increments of $10,000. So I have to do $10,000 worth of renovations. Next time I’ll know more about what to ask and what type of information to gain in the beginning. Of course with your first deal you’re excited so you can often miss a lot of things. What kind of repairs did you plan to do to the house? Did that change at all? Yes, it did change. I found out that the space needs more work than I anticipated. I recently had a plumber come out to inspect and I’m waiting on the electrician. It’s an older building so the plumbing will be redone to get up to current code. It’s my understanding that the outlets need to be redone so I’m learning that there’s some additional costs involved. There’s some mold that I have to deal with in the basement. There are things that come up which I was aware of during my phase of gaining knowledge, but I just didn’t expect it at this level. For your next renovation, what are you going to do to prepare for those surprises? I’m glad you asked me that. I already have it set in my mind. Whatever I think the cost will be to do the renovation, I will ask for at least a minimum of $10,000 above that. How did you find good contractors? I found contractors, but now I’m waiting on proposals. I’m learning about the issue of contractors having the time for you. I’ve been waiting on one contractor to send me a proposal and I haven’t received it yet. I’m waiting on another to send me one too. When you’re dealing with hard money you’re being charged interest per day, which is tough. Your monthly payments are interest only. So you’re not even paying towards the principle. Every day that is ticking by that work isn’t getting done on the building, I am charged $30.97 a day. Contractors are working on maybe two or three different deals at one time and they have to find time for you. Do you have any last words of advice for new investors? For new investors I strongly advise that you look at the property from top to bottom, inside and out. Learn as much as you can about the codes of whatever city that you’re buying the property in. I’m just now starting to look at the Chicago codes. The more you learn about the codes and what type of renovations you need, the more you will be educated when working with contractors. If what they are quoting is in the right range, you will know exactly what needs to be done and you won’t have as many surprises.